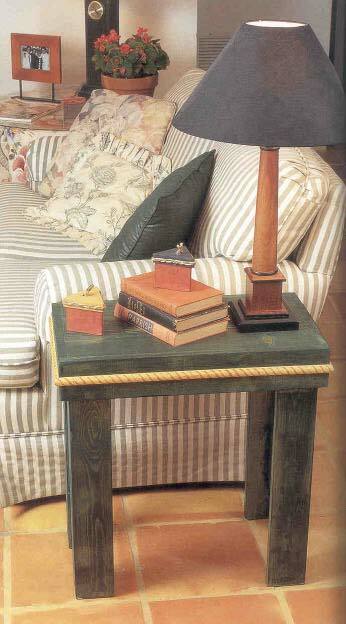 Charming and easy to build small end table that will go in just about any room. Step by step instructions make this a breeze! All our wood plans are available for immediate download. This simple-to-build end table is perfect for spaces next to a couch that won’t accommodate a larger table. It’s large enough to accommodate a lamp and books, but small enough to walk around without permanent injury to your shins. We finished our table in a dark stain to coordinate with our couch, but left the decorative trim its natural color.